Here are a host of exercises that you can can engage in to make your abdominal muscles stronger. 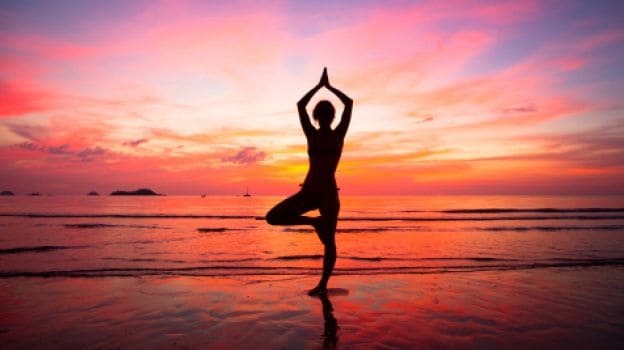 While swimming, running, jogging and aerobics are fun activities that work phenomenally well to attain the perfect bikini body that most people strive for, in recent years, it is yoga that a lot of people have been turning to. We got some simple yoga poses for a flat tummy that can be easily performed at home without the invigilation of an instructor. It is often said, that a well-defined stomach is the representation of a person who is in good control of their health. According to Yoga expert, Ajit Tapasvi from Yogisthaan Cafe in Bangaloe, there are two main causes of fat accumulation in the stomach area. “The first one is eating dinner after 9 pm, and the second one, sleeping after 11 pm at night. Eating after 9 pm does not give the liver enough time to act upon the food, thus instead of getting digested, the food becomes converted into saturated and dead fat,” he says. It is the easiest form of pranayama to lose weight around the belly. The simple techniques allow one to do it on your own. Sit with your legs folded, place your right palm on your right knee and left palm on your left knee. Now breathe in slowly and exhale with force so that your stomach gets sucked inside as much as possible. Repeat this cycle 15-20 times for beginners and see the effect it can have on your body. Suryanamaskar is a whole body workout. Doing 20 minutes of the entire 12-step exercise of is magical. It enables the body to become more flexible and reduces fat around the stomach. 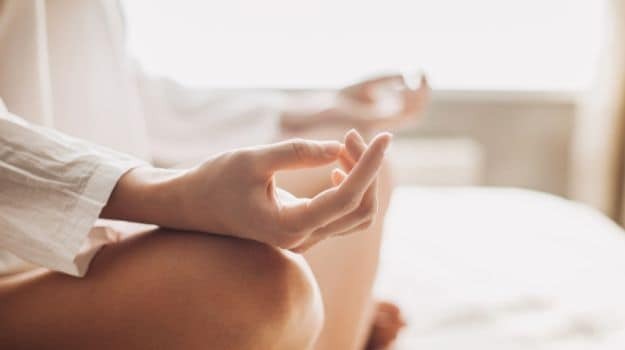 Breathing is like a capsule that carries life, according to Yoga expert Ajit Tapasvi. “Surya namaskar awakens the sun within the body,” he says. This simply means that it energizes you from within and boosts your metabolism that can speed up weight loss. It enables one to open the body and make room for pranic energies to develop. Also known as the boat pose, this is the primary pose for strengthening abdominal muscles. Lie down on your back with your feet together and arms beside your body. Slightly lift your chest above the ground while simultaneously lifting both your feet. Stay in this position while you feel the tension around your abdominal area. Take deep breaths and exhale while in the position. Come back and relax. This effectively helps to reduce belly fat. Doing the shoulder stand enables the stomach to be relieved of all stress. The stomach is relieved of the pressure while the blood circulation of the entire body shifts to the shoulder. The stomach is at peace. Also known as the sarvangasana, it is a 90 degree pose to the ground and ensures over all overall health and well-being. These 4 exercises can be conveniently followed at home and one must ensure that they are done when the stomach is empty to witness maximum benefits. Ensure sufficient sleep and a good diet and you’re good to go! 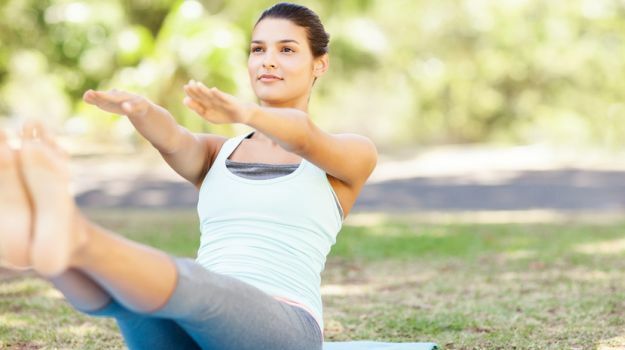 No Comments on "Yoga for a Flat Tummy: 4 Poses You Must Try"